After water resistant phones like Sony Xperia Z and Samsung S4, a new device has been added on the list of water resistant phones. The Kyocera Hydro Elite is the latest smartphone that can resist water till 3.28 feet and can be soaked in water for upto 30 minutes. Like its name this device glitter out for it sleekness and beauty. This is the first Hydro branded smartphone that has the same specs found in Xperia Z and S4 active. So now, let us go through the specifications and features of this device. This smartphone packs with a 4.3 inches of screen size with a 720p resolution and it is powered with a 1.5 GHz processor and a 1.5 GB of RAM. In the camera section, this device has an 8MP rear camera along with a 1.3 MP of Front camera. In the storage section, this device got a 16GB of internal memory along with the micro SD card slot. This smartphone is also packed with a battery power of 2100mAh along with other goodies like Jellybean OS out of the box, NFC, Eco mode along with the Qi Wireless charging support. We have also written the detailed specification below for your convenience. 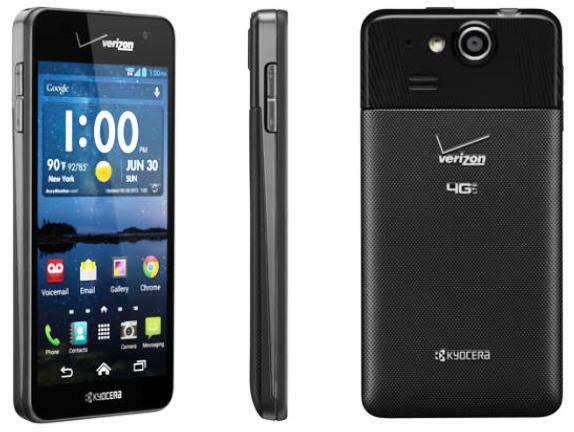 Kyocera Hydro Elite comes with a price tag of 99$ along with a contract with verizon wireless for 2 years. This smartphone will be available from 29 August and can be purchased from all leading offline and online stores. There are no specific details about the global availability of the device.